In the previous article we saw some of the difficulties that we can face when applying styles to the ActionBar. In this article we’ll look at the final control on the main ActionBar: The search control. On the face of it, styling the search control, which we added in this article, should be fairly straightforward. however, if we look at the assets that we created from Jeff Gilfelt’s ActionBar Style Generator tool, we’ll see that we don’t actually have assets for an EditText control. 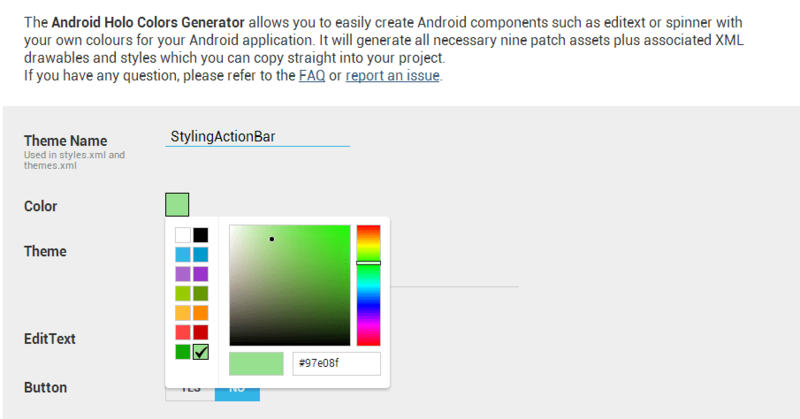 This isn’t actually a huge problem because there is another tool named Android Holo Colors Generator and created by Jérôme Van Der Linden, which can do what we need. Both Jeff and Jérôme’s tools are based upon Roman Nurik‘s Android Asset Studio. While Jeff’s tool is specific to the Actionbar, Jérôme’s will generate assets for many of the standard Android controls, and we can simply add these to our theme as we have been throughout this series. So we’ll use Jérôme’s tool to generate the EditText asset that we require. We require an asset which matches the highlight colour that we defined rather than the base colour of our theme. The reason for this is that the background colour that we’ve used for our ActionBar is the base colour, and if we use the same colour in Jérôme’s tool, the asset will be invisible against the background. We can now click the “Download .ZIP” button and the assets will be generated in to a zip file which is downloaded, in much the same way as we generated the assets using Jeff’s tool. Once we have this zip file, we need to copy all of the drawable assets in to their respective folders within our project. We can ignore the styles and theme generated in the zip because these will be for general setting for the whole project, we we’re doing this styling purely within the ActionBar. In the concluding part of this series we’ll style the ActionMode as well. The source code for this article can be found here. © 2012 – 2013, Mark Allison. All rights reserved. 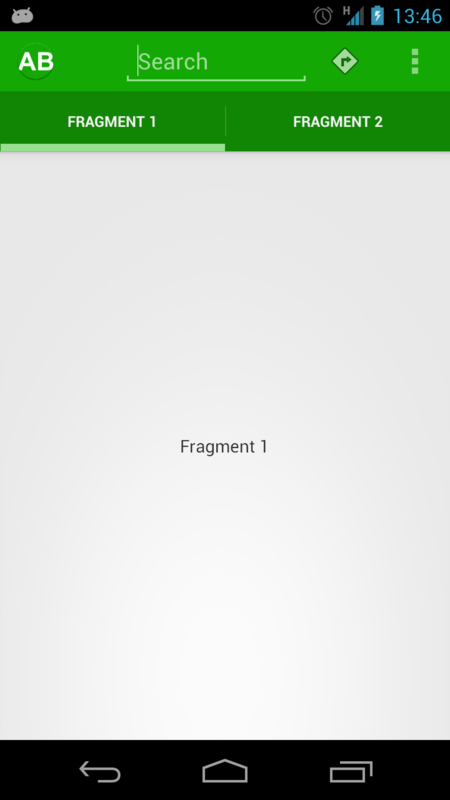 Copyright © 2012 Styling Android. All Rights Reserved.